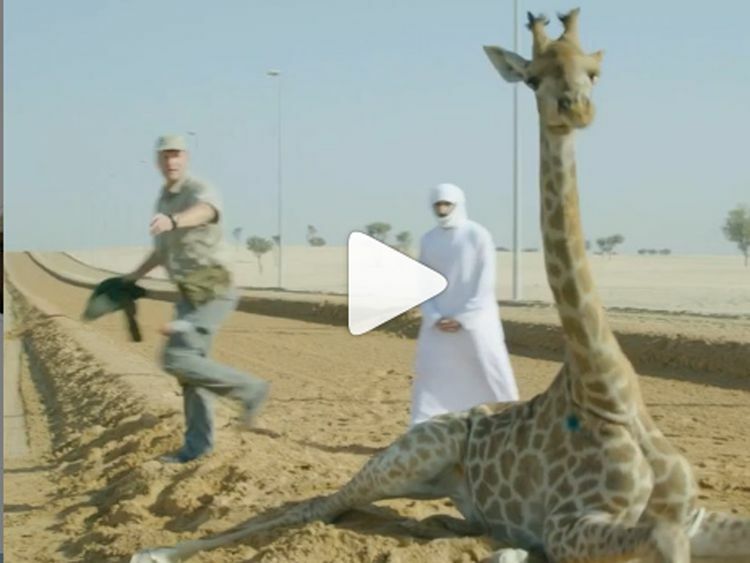 Dubai: Instagram loves animals, and a video posted by Dubai’s Crown Prince was once again proof of this. 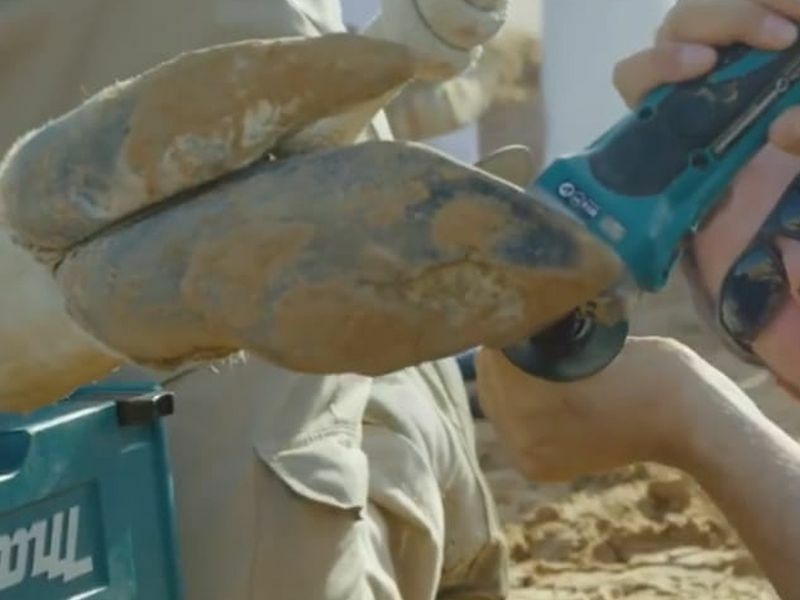 A video uploaded by Shaikh Hamdan Bin Mohammad Bin Rashid Al Maktoum, Crown Prince of Dubai and Chairman of Dubai Executive Council showed a team of conservationists sedating the African mammal to trim its hooves. 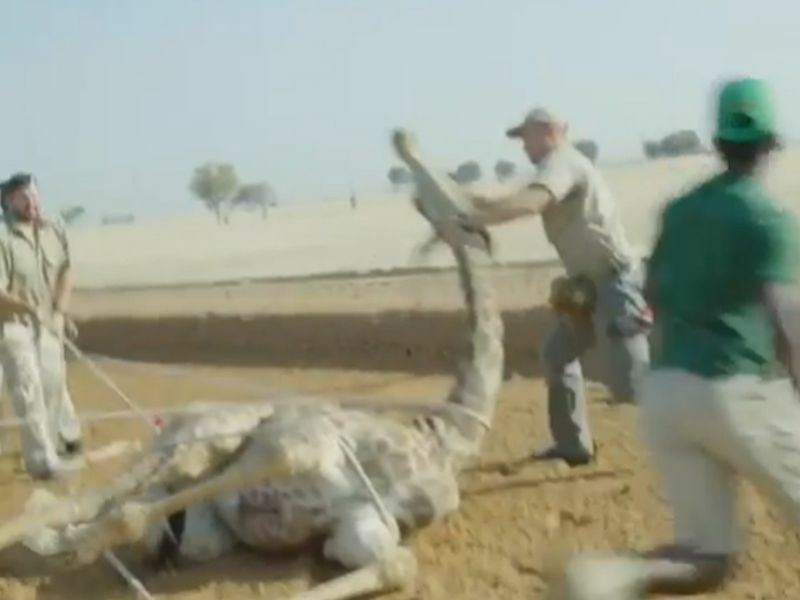 In the one-minute long clip, Shaikh Hamdan can be seen in the operation, as the team first hits the giraffe with a tranquiliser dart and then bringing it down with the use of ropes. After the hooves are trimmed by the experts, Shaikh Hamdan can be seen shuffling a trimmed hoof in his hands. Why the need to trim? While giraffes’s hooves wear off in the wild, it is necessary to trim them when they are not in the jungle. “Giraffes walk a long distance in the wild and that is not the case when they are in sandy soil like we have in the UAE,” Dr Reza Khan, principal wildlife specialist at Dubai Safari and Dubai Municipality, told Gulf News. He added that most hooved mammals, whether in the sheep group, the goat group or giraffes require regular trimming to ensure they are able to walk freely. “In Dubai Zoo, we used to trim the giraffe’s hooves every winter. If they are not trimmed, it can be a problem as the animal cannot walk properly,” he added. Shaikh Hamdan is popular on social media for his animal videos and in the past has shared clips rescuing gazelles, oryxes and hedgehogs. The latest video received over half a million views on Instagram in less than a day.